A classic engraved suite with a hint of whimsy. 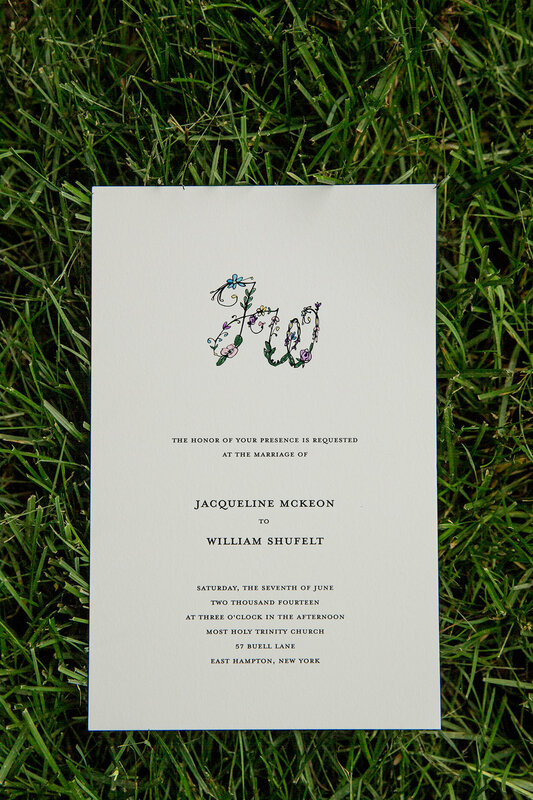 Hand drawn floral borders and monogram. We hand-painted each monogram.